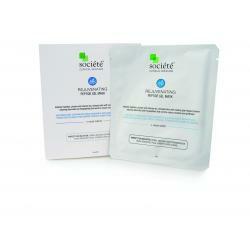 Two step anti aging regime to firm and plump delicate skin around the eye. 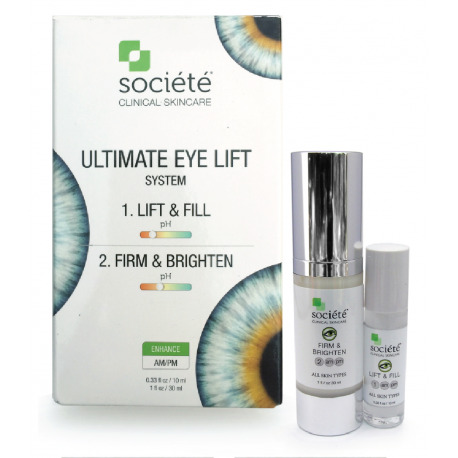 Reduces fine lines and wrinkles and lightens the appearance of dark circles. 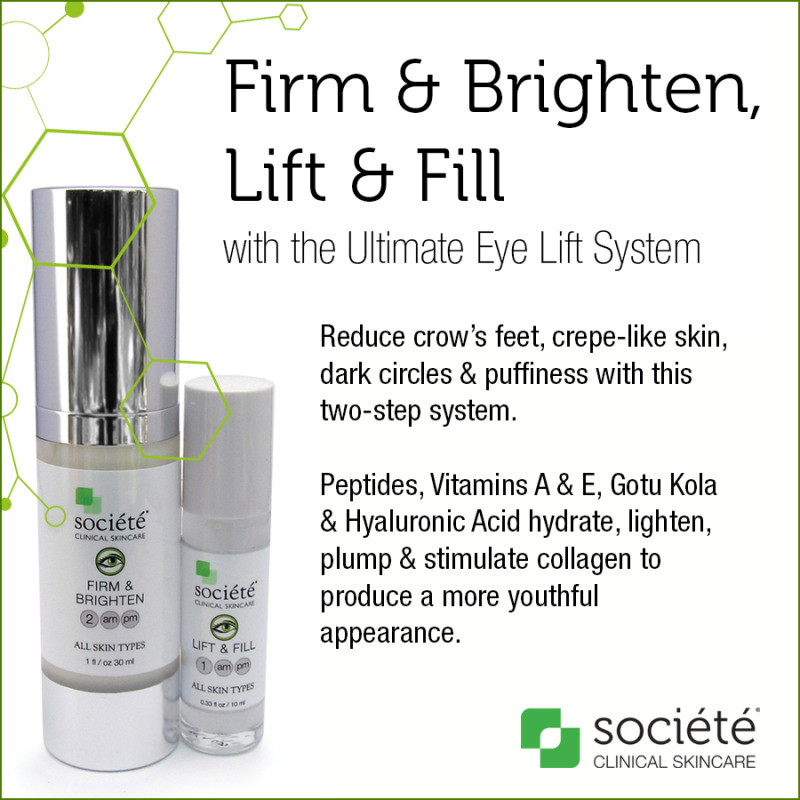 A two-step age reversal regimen that firms and plumps the delicate skin surrounding the eye, producing immediate and long-term improvements. Continued use lightens the appearance of dark circles, reduces puffiness and lessens fine lines and wrinkles. 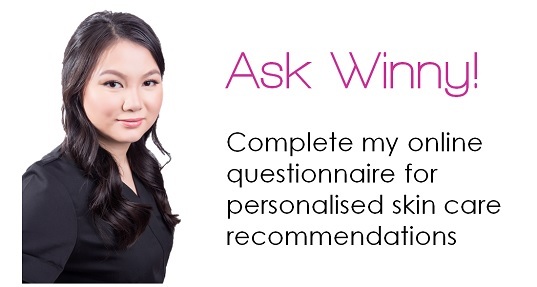 A hydrating Hyaluronic Acid serum plumps and tightens. Collagen activators provide a cooling sensation and stimulate the skin’s daily repair via a bioactive peptide complex, which mimics cytokines produced during wound healing, in a nanosomal (ultra-small liposome) delivery vehicle. Lift & Fill Ingredients: Water, Sodium, Hyalauronate, Menthyl Lactate, Asiatic Acid, Pentylene Glycol, Panthanol, Glycerin, Lysolecithin, Hydroxyethylcellulose, Myristoyl Pentapeptide-17, Phenoxyethanol, Caprylyl Glycol. 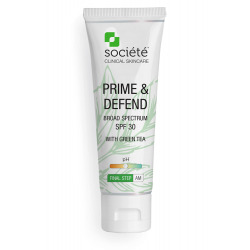 Firm & Brighten Ingredients: Water, Cocoglycerides, Glyceryl Stearate, Glycerin, DEACetyl Phosphate, Polyacrylamide, C13-14 Isoparaffin, Laureth 7, Carbomer, Steareth-20, N-Hydroxysuccinimide, Chrysin, Palmitoyl Oligopeptide, Myristoyl, Pentpeptide-17, Tocopheryl Acetate, Retinyl Palmitate, Palmitoyl Tetrapeptide-7, Cetearyl Glucoside, Caprylyl Glycol, Phenoxyethanol, Cetearyl, Alcohol, Palmitoyl Hydrolyzed Wheat Protein, Hesperidin Methyl Chalcone, Dipeptide-2, Tromethamine.